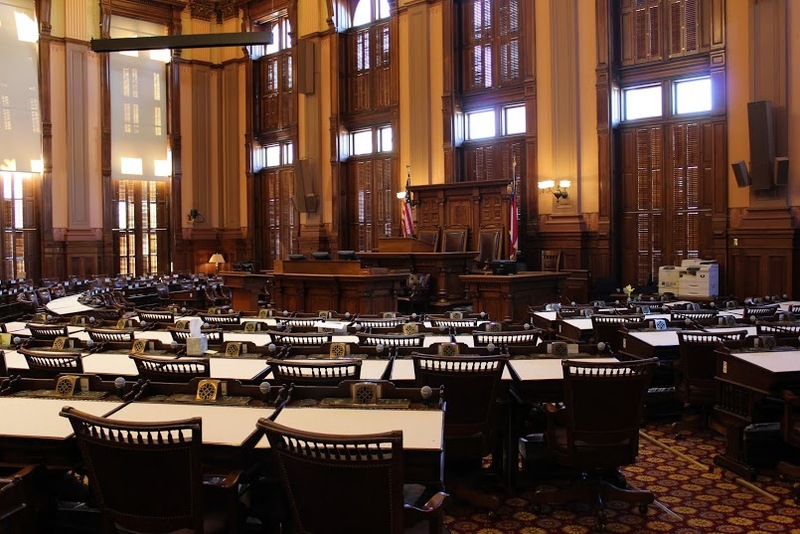 This legislative season the Georgia State House of Representatives will vote on a series of bills that may allow new demographics of students to qualify and benefit from the HOPE grant and scholarship. If passed, House Bills 22 – 25 (HB 22 – 25) could extend the length of time students may claim HOPE benefits, extend scholarships to veterans and military family and provide full tuition to those pursuing a diploma or certificate program. Georgia funds both the HOPE grant and the HOPE scholarship.The HOPE grant provides assistance to students enrolled in a diploma or certificate program. The HOPE grant places no requirements on graduating high school with a minimum GPA. The HOPE scholarship is awarded to students who maintain a 3.0 GPA while pursuing a four-year degree. Representative Stacey Evans from Smyrna’s District 42 sponsors HB 22 – HB 25. Additional information about HOPE bills this year can be found on the Georgia General Assembly’s website. Seth Clark, Representative Evans’ chief of staff, said the proposed bills’ goals are to those with greater need. Clark said to make this possible HB 22 is ideal. “In a perfect world the HOPE grant would pay for 100 percent of a student’s tuition,” Clark said. He also said HB 23, HB 24 and HB 25 are smaller pieces of HB 22. If they don’t pass bill HB 22, they will piece it together. “If you pass the HOPE grant, the other ones become moot,” Clark said. Cuts to the HOPE grants in 2011 resulted in a 25 percent decrease in enrollment in Georgia technical schools, according to Clark. Clark also said it is Representative Evans’ goal to make education available different demographics including veterans and single mothers. Veterans who often have difficulty enrolling in college because of requirements they may not have met before leaving high school shouldn’t be barred from pursuing an education, according to Clark. “Trades learned in the military allow them to become students,” Clark said. He also said the voting periods for HB 22 – HB 25 is still yet to be determined and they have not been assigned to a committee. “They will most likely be assigned to the higher education committee,” Clark said. Junior chemistry major Shams Husseini said having HOPE scholarship made him want to work hard to keep it but his GPA has slipped slightly below the requirement for eligibility. Husseini also said he regrets any financial burden he has put onto his parents as a result of losing the HOPE scholarship. He looked back on what it was like to have to scholarship before losing it. Santana Tooks, a junior at Georgia State who also recently lost his HOPE funding due to a drop in GPA, said it is urgent that he regains his eligibility this semester. “Now that I don’t qualify for HOPE, I’m having to take out increasing loans. My subsidized and unsubsidized [loan] is bigger than it was when I first transferred in,” he said. Tooks also said having HOPE as a source for financial aid was beneficial because it provided him a way to immediately purchase needed class materials. “I didn’t have to wait until I came up with the money myself to buy books,” he said. Tooks also credited his status with HOPE to his ability to be involved in Georgia State. “It may sound superficial but my wardrobe was increased. Then I was able to buy business clothes. I could buy regular casual clothes, but I felt like I could actually be a part of different organizations because I actually dressed the part,” he said. While receiving HOPE, Tooks said he was also using the money to pay off other loans he had taken out to attend Georgia State. Junior high school junior Alex Cameli, who enrolled in Georgia State’s Accel dual enrollment program, said the university’s classes are paid for through the program. However, he is also on track to graduate from Grady High School in 2016, meeting the requirements for both HOPE and Zell Miller Scholarships. Cameli said whether he decides to go out-of-state or remain in Georgia is most significantly influenced by money received through scholarships and financial aid.